We all know that the best way to eat healthy meals while staying on top of your food budget is by meal planning. 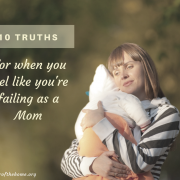 This is something that Stephanie has talked about often, and she has even written a book about the subject. However, for one reason or another, there are bound to be times that we fail to plan a meal every once in a while. This has actually happened a lot to me lately! 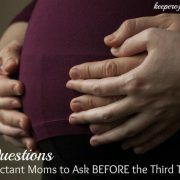 I am 20 weeks pregnant with our second child, and I have unfortunately fallen off the meal planning bandwagon during this first part of pregnancy. I plan to hop back on soon, because it really is worth the time it takes to site down and plan! But in the meantime, I have several meals that I have consistently fallen back on when dinner time gets near and I have no clue what I’m making! I want to share this list of ideas with you today for those occasions when you don’t know what to make for dinner because you’ve failed to plan for one reason or another. Most of these meals can be made with or without meat and use basic pantry/fridge staples that most people usually have on hand. Although I am linking to some specific recipes, this list is mostly meant to give you ideas of meals to make using whatever you have on hand. If you have bread in the house, this is such a quick and easy option. You could make anything from a grilled cheese sandwich to a grilled chicken sandwich with all the fixings. Depending on what you have on hand, the options are limitless. Romaine lettuce leaves make great wraps for all sorts of different fillings. Do you have any leftover meat in the fridge? Use that along with different cheeses, veggies, and dressings to make a very fast, but tasty dinner. Here is a recipe for chicken lettuce wraps to get you started. Top whatever greens you have in the refrigerator with a protein, veggies, cheese and homemade dressing and you are good to go! Omelets are so versatile and can really make quite a lovely dinner. 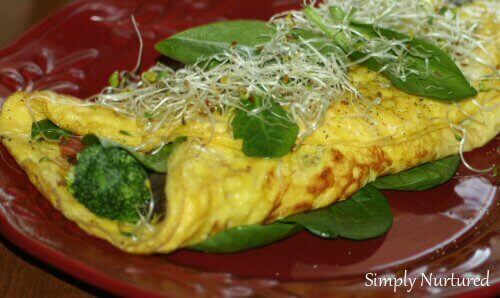 Courtney wrote a great post with tips for making the perfect omelet along with 10 different ideas for filling them that would be a great starting point for your omelet dinner. One reason I always try to keep chicken stock in my freezer is so that I can whip up delicious, satisfying soups at a moments notice. 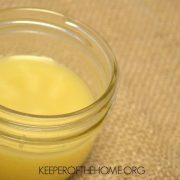 Stephanie has a great tutorial here about making soup from scratch without a recipe using whatever you have on hand. Pasta is another easy meal to throw together using leftovers or staples that you usually have in your pantry or fridge. Here is a great post about making “Pasta Your Way” to help guide you to turning your ingredients into a delicious pasta meal. This is a great last-minute meal if you have tortillas in your fridge. Even just a plain cheese quesadilla topped with some sour cream and salsa can make a satisfying dinner. Especially if you have some beans in your freezer that you can whip out and serve as a side! 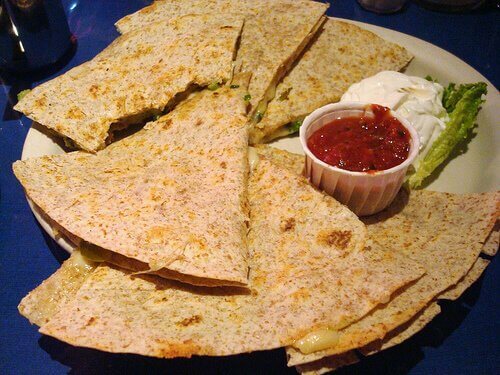 Here is a simple quesadilla recipe that is very versatile and full of great ideas. Traditional pizza dough (sourdough or yeasted) takes a lot of time to make. But don’t let that stop you from enjoying some yummy pizza for dinner. Almost any bread product will work very well for a “pizza crust”. I’ve used english muffins, tortillas, pita bread, and even just plain ol’ toast with great results! Simply top your “pizza crust” (whatever bread product you choose to use) with your sauce and topping and cook in a hot oven until the cheese is melted and the toppings are piping hot. Then enjoy your “pizza” for dinner! If you have tortilla chips in your pantry, cheese in your fridge, and any amount of additional toppings then you can make nachos in such a short amount of time. It’s a fun meal that the kids and the adults will enjoy too! Just place your tortilla chips on a pan topped with your cheese and meat (if you’re using), pop the pan in your hot oven for 5-10 minutes (until the cheese is melted) and then top with the rest of your toppings. Here is my recipe for our favorite nachos to have for dinner. Throw some meat, veggies, and seasoning in a hot pan and cook until the meat is done and the veggies are crisp-tender. Serve over brown rice (another good thing to keep in your freezer!) and voila – a delicious stir-fry dinner in no time flat! 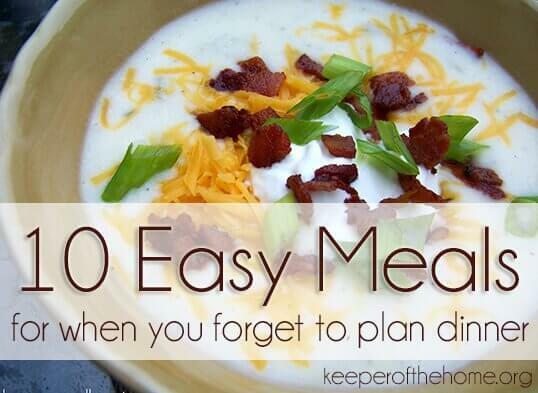 What are the easy meals that you fall back on when you forget to plan dinner? And while I’m deciding, I chop some onions and start cooking them, and then peek into the fridge to see what left-overs we have. That always gets me started on some or other good meal. In fact, the kids say that my hurry-up-no-idea-what-to-cook meals are the best of all. Awesome resource! Thanks for linking one of those to me 🙂 I love pizza on english muffins. I actually think it tastes better! I usually throw together homemade “hamburger helper”. I get large packs of ground beef when they’re on sale and on a big cooking day cook it all up with onions and seasonings (and any bits and pieces of celery, carrots, bell pepper etc). I then portion 1lb into baggies and pop them in the freezer (laying flat) so i always have it on hand. A few minutes defrost in microwave, some mexi corn, canned beans, canned/fresh tomatoes, seasoning and either pasta or rice and I have mexican style hamburger helper. Or jarred alfredo sauce, canned tuna, frozen broccoli and pasta for “tuna helper”. I have found that frozen seafood defrosts very quickly in water. So, if I have shrimp or tilapia/salmon filets, they can be cooked quickly on the stovetop while I also boil some frozen vegetables. I try to keep a bag of frozen organic peas on hand for a last-minute meal. Great list! I had a large meal to prepare and a training to put on today, so I didn’t give a lot of thought to supper for the family. We went the grilled cheese route – although I had to pull apart frozen bread 🙂 Fresh veggies and fruit rounded out the meal. Great ideas Mindy! 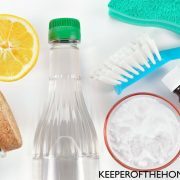 Sometimes when I feel like we have nothing after work, we find ourselves picking up food to-go, especially with our busy schedule but this is a great list and would be great if I could put together some freezer dinners. We try to have less carbs at night so this can be challenging but we love to have eggs, we’ll have to try the omlets! Awesome list, Mindy! I fall back on several of these as well. Thanks for this list. I’m 33 weeks into my current pregnancy and have definitely fallen off the bandwagon a time or two lol! I try to keep certain things stocked that put together fast suppers. I basically only do fast suppers! I always keep on hand canned salmon, sometimes cheese, cooked up ground beef, cooked and then frozen beans, eggs, pasta, brown rice, frozen peas and other staples too of course. I like to make eggs and toast sometimes if in a rush, with a smoothie. We do a lot of “salad” meals. Last night was brown rice with chick peas (previously cooked and frozen, thawed), and in season veggies whatever I had I did chopped peppers, tomatoes, celery and topped with parsley. Made vinegrette to go with it. Lots of things would have worked in there for the veggies. When I make pizza (rare around here) I use a baking powder spelt dough- lots of recipes online and it makes up fast. Thanks for all the tips and links. pancakes are a favorite. 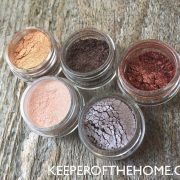 I try to keep some homemade baking mix for them in the fridge at all times. great list and great ideas. Thanks. I make omelets, breaded cutlets or throw anything in quesadillas with soy cheese. I love these ideas, Mindy!! Fast meals are such a necessity for life seasons like pregnancy and postpartum! My go-to fast meals are quesadillas, stir-fry and breakfast for supper! Good list! Quesadillas are our favourite fall back. My I-don’t-feel-like-cooking go-to-meals are tacos, hamburgers, Italian chicken (cook the chicken breasts in Italian dressing on the stove with a lid and they thaw while cooking), or spaghetti. If the ground meat is frozen I just put it in the skillet over medium high heat (because I cook everything with too high of a heat lol) with a lid and it thaws as it browns, which is great time saver. Thanks for some new ideas for quick meals. 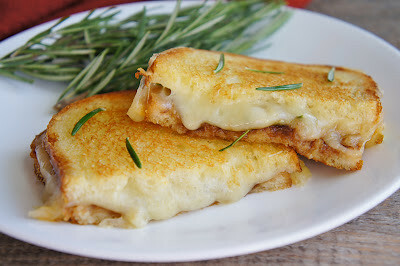 Our family favorites include grilled cheese (on my homemade, whole wheat bread) and homemade tomato soup. It’s our Sunday lunch staple during the winter months. Also, I keep about a cup of cooked, diced chicken with a quart of broth in the freezer at all times. Then it’s only a matter of defrosting, bringing to a boil and throwing in some noodles for a quick-n-easy chicken and noodle soup. My husband also hunts. We have the venison turned into trail bologna. 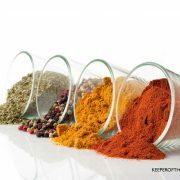 It’s a very lean meat and, despite the sound of the name, can be minimally processed depending on how you have it done. We cut this up with cheese and crackers for a quick but satisfying meal or a meal on the go. I would love to repost this article!